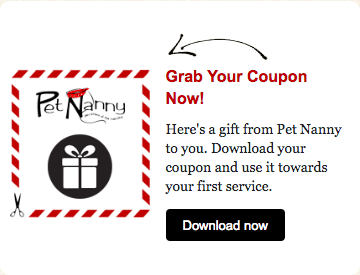 Pet Nanny is dedicated to employing only the best, most caring and qualified pet lovers around. We run each sitter through an extensive screening. How do we hire our Pet Nannies? All of our Pet Sitters go through a very thorough screening, vetting, and training process before they earn a spot on our team. We require stellar references, a clean background check, pet first aid certification, and that our sitters complete a two-part orientation process before they receive their first solo assignment. We only work with the best people and hold them to a very high standard! My hiring philosophy is: We can never be too thorough and YOU and your pets can never be too happy! Bill lives in Bryn Mawr, PA with his wife, two boys, his Norwegian Buhund rescue dog, two American Short Hair cats, and two Shubunkin goldfish. An avid dog lover, Bill enlisted in the Air Force to become a dog trainer, where he spent over 9 years training dogs in attack work, narcotics and explosives detection and even trip-wire detection. However, besides dogs, he has always loved working with all types of animals: dogs, cats, horses, fish, hamsters, rabbits, guinea pigs, and any other creepy crawly critters. In addition to having served for over 9 years in the Air Force, he served another 20 years as an officer in the Marine Corps, before leaving to attend medical school. He has a Bachelor's degree in mathematics, a Master of Science in Biomedical Engineering and is currently a 3rd year medical student studying to become a physician. When Bill isn't studying he loves spending time with animals; if he weren't learning the intricacies of the human body, he most likely would have gone to veterinary medical school instead. 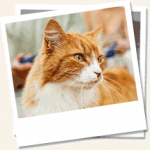 Contact Bill, he is looking forward to meeting with you to discuss your pet's needs! Cathy joined the Pet Nanny team in October of 2012 and has received glowing reviews from 100's of our Pet Nanny clients. She truly goes above and beyond to make her clients happy. Cathy lives in Wayne with her husband and two sons. As a life long pet lover she has adopted everything from fish to dogs. Originally from Detroit, she's lived in Connecticut, Virginia and Maryland. She's a mother of 3 and a grandmother of 3. Cathy loves to be outdoors and spends many weekends camping. She attended Montomery College in Maryland and University of Phoenix. 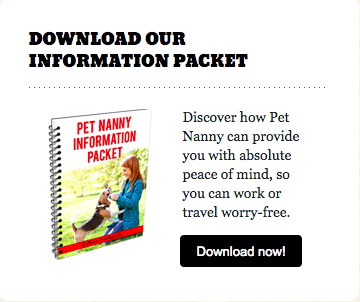 With 30 years of corporate experience, she is now enjoying a more fun and relaxing time with Pet Nanny. Courtney lives in Conshohocken with her fiancé and her pit/shepherd mix, Charlie. Her pup is a very energetic one who loves (and constantly begs for) attention, so she is well-prepared to care for and give your animals all the love and attention that you do when you're home! She graduated from West Chester University with a major in Psychology and currently works for a managed care company in the Behavioral Health field. Courtney is very much looking forward to meeting you and your pets! Donna lives in Media and has raised two crazy liver Dalmatians as well as cared for many family and friends' pets over the years. In addition, Donna and her pups took many obedience and agility classes, which helps her understand and manage a wide variety of behaviors. Over the years, she has personally relied on both daily and overnight pet sitters for work and travel so that her girls could remain stress free at home. She knows the high level of customer service she desired as a client and incorporates that into her work with your pets. Erick Howard has over 10 years experience serving Pet and Home Owners here on the Main Line, priding himself on offering superior customer service. He lives in Ardmore and his family has resided in the area for over a century. He previously operated a Residential/Home service business where he served his customers successfully making them feel safe that their homes and pets were well taken care of. He has since moved on to other professional endeavors and has joined Pet Nanny hoping to be an asset and assist you in giving your pets the love and attention they deserve while you are away at work or on travels. Communication is very important and you can feel free to reach out to him to solve any concerns or requests you may have. Jeanne lives in Bryn Mawr with her husband, two boys, her Norwegian Buhund rescue dog, two cats, and two goldfish. Jeanne has experience with caring for the following types of animals: dogs, cats, fish, hamsters, frogs, rabbits, guinea pigs, lizards, birds, horses and snakes. She is definitely an animal lover, and well-prepared for your animals’ wants/needs while you are away from your home. Jeanne graduated from UNC Charlotte with a Masters Degree in Education along with Masters and Doctorate Degree in Clinical Psychology from Argosy University. Jeanne is looking forward to meeting with you to discuss your pets needs. My name if Jennifer and I am your Pet Nanny of the Main Line. I’ve made my way to Wynewood, via Swarthmore, Delaware County. I have taken care of many animals along the way. I have lived on farms tending to horses, goats, tortoises, cats, dogs, lizards, birds, fish, pigs, rabbits, and chickens. I am also a personal trainer, and exercise is such an important part of my four-legged clients’ needs as well. Just like us earthling humans, exercise of the mind, body and spirit is also crucial for our furry friends . I work to ensure these needs are met, on all levels. I look forward to meeting you and making a difference in your family’s lives. Happy tails! My name is John Maniscalco I live, in the West Chester area and I am married with two college age children. I have over 30 years of experience carrying for my own dogs and friends and family friends. I would love take care of your dog while you are away from home. I look forward to meeting you and your pets. Keith lives in Radnor Township with his wife Cathy, and their cat Coal. Keith grew up on a farm in southern Virginia and has been a lifelong animal lover. Keith and his wife relocated to Pennsylvania from the Washington DC area in 1998 and have raised 3 children and now have 3 grandchildren. Keith is looking forward to meeting and caring for your pets. Hi, my name is Lauren. I live on a farmette in the southeast corner of East Pikeland Township, and I have two grown sons. I have had pets my entire life - dogs, cats, hamsters, gerbils, a rabbit, turtles and goldfish. I have cared for friends' and neighbors' pets through the years, and have also hired petsitters for my own cats and dogs. I know what qualities I value in a caregiver and bring those qualities when caring for your pets: compassion, conscientiousness, communication and reliability. I will not let your cherished family member down! Lindsay, a graduate of West Chester University, lives in Wayne with his wonderful wife, spoiled Doberman/Beagle mix Gus, and very vocal tabby cat Tortuga. He has experience caring for many different dog breeds, as he has been pet sitting for friends and family for many years. He feels very blessed that he grew up with parents that allowed him to take in stray cats throughout his childhood. He has continued to adopt animals throughout the years, including a 12 year old diabetic cat named Paul. He was up to 2 dogs and 2 cats for many years. He looks forward to caring for your furry (or not so furry) family member while you are away. Lisa joined the Pet Nanny team in 2008. She first served as our manager for 3 years but has now moved into the role of pet sitter. Lisa lives in Malvern with her husband, two children and a kitty. She graduated from the University of Virginia with a BA in French. She is a recent transplant from the Washington DC area where she owned a pet sitting business. With more than 15 years of pet sitting industry experience, she knows your pets are family and gives each client the care and attention they deserve! Lisa hopes to spend lots of quality time caring for your furry friends! Lisa lives in Bryn Mawr with her two cats, Pumpkin and Lacey. Lisa has provided pet care for neighbors, friends and family for many years. Lisa is an Account Manager with a Philadelphia based company, InstaMed (Healthcare Payments Simplified) and has been in the Payment Solution department for many years servicing top tier clients. Lisa understands the importance of exceptional customer service and she looks forward to extending this level of professionalism to you and your furry pals. Lynn lives in Broomall near her two grown children and toddler grandson. She has been pet sitting for over 13 years and has enjoyed caring for almost all dog breeds and up to 17 cats at a time! She has taught a course in pet sitting through the Main Line School Night and has been a member of several pet sitting groups over the years. Mariann lives in West Chester with her mother, her sweet rescue shepherd-lab Dakota and her sassy cockatiel Louie. She also has a very cute granddoggie—a Corgi named Westley, who lives in Boston with her daughter Jessica. She has loved and cared for a number of pets through the years—her friends' and neighbors' as well as her own—including dogs, cats, guinea pigs, birds, and a gerbil. She has loved animals since she was a small child and will take care of your pets as if they were her own. Mariann grew up in Malvern and went to Bryn Mawr College, where she received a BA in French. After earning an MA in Art History at the University of Michigan she moved to Buffalo to work in the Education Department of the Albright-Knox Art Gallery, where she served for 26 years. Her hobbies include horseback riding, travel, reading, playing bridge, visiting museums, and going to movies. Mary O'Brien is an avid reader, distance runner, and baker. Having grown up in an Army family and moving to a different state every few years, she quickly became very good at meeting new people (and pets!). She finally landed herself in Pennsylvania for college, and the rest of the family followed suit. Mary and her daughter Sophie have now happily called Haverford their home for the past six years. Hello, my name is Matt and I am a recent college graduate from the University of Hartford. I have earned my degree in marketing with a minor in communication. Currently, I am able to do what I love and that is to write about sports and interact with animals. I am a part time baseball writer and a full time animal lover. I have had dogs my entire life and each dog has become a member of my family. My dog Trey is a one year old who loves to play and needs attention constantly when people are home. I will give the same attention to your animal as I would give as if the pet was my own. I look forward to talking with you and very much look forward to interacting with your pet. Hi! My name is Melus Dey, and I am looking forward to taking care of your pet! I have been a pet sitter on two continents, in three countries. I am originally from Helsinki, Finland, where I partially grew up on a farm taking care of all kinds of critters, and where I developed my love for animals of all kinds. In addition to having had 11 dogs of all sizes myself, I have had a parakeet, two finches, two rabbits, two turtles, and a chinchilla. I am also a proud Grand-Mommy to two cats. My Mastiff was a Certified Therapy Dog, and we visited day care centers and assisted living facilities to spread happiness and cheer. I find pet sitting to be very therapeutic because animals install a calm in us, and keep us grounded. I am looking forward to meeting you and your pet! My name is Michael and I live in St Davids, PA with my wife and three boys. I went to Colombia 2 years ago to become a dog trainer and a decoy in advanced dog training as well. The experience was outstanding and intense, opening my eyes in a whole new level on how animals handle their learning process. Realizing that animals are amazing and why they make such great, reliable, dependable and trust worthy pets. With a life time of caring for animals (pets), it would be my pleasure to take care of your family members while you are not home, Thank you! I have always been an animal lover and I love to keep busy. Pet Sitting is my ideal combination!! Our family currently has a dog named Ollie, he was a rescue and has been part of our family for the past 6 years. I have cared for a wide range of pets including dogs, cats, rabbits, hamsters, lizards etc. I have a special place in my heart for animals and give them the most love and compassion possible. I am very responsible, reliable and trustworthy. I look forward to meeting you and your adored pets! Hi! My name is Olivia, I’m 21 years old. I am born and raised in the Philadelphia suburb area. I live with my dad and stepmom in Havertown with our 2 dogs and 2 cats. I have grown up around animals my whole life and I love them all. I’ve been pet sitting since I was a kid and I will be sure to treat your pet like my own. I’m excited to meet you and your pets! Hi my name is Rachel, I am 26 years old and a college student at Rosemont College. When I was born my parents also got us a dog named Molly, I got to grow up with her which started my love for animals. Since than I have had several pets and have in recent years rescued senior dogs to give them a happy end to their lives.I can't wait to spend time with your furry family members. I will treat your pets as my own and keep you up to date on how they are doing. I'm Ravi, a Drexel University grad residing in Ardmore. My experience in retail and quality control allow me to provide the best customer service for my clients. My family in Reading, PA adopted an adult Jack Russell Terrier in 2014 and it has been nothing short of a rewarding experience. Although I haven't been a professional pet sitter until recently, I have provided pet care services for friends and family throughout my life. I understand the importance of providing quality service and will work safely as well as smartly so that you have peace of mind. I look forward to meeting you and your pets! Hello all, my name is Sean. I am a 27 year old student at Arizona State University and plan to graduate in the spring of 2019. I have been living with dogs for as long as I can remember and have always considered them to be part of the family. I currently have two dogs of my own, a 4 month old border collie poodle mix and an 11 year old cockapoo. I promise to take care of your animals with the same love and respect I give my own dogs while keeping you updated on their well-being. I look forward to caring for your animal family members. Shanda is so excited to meet all of you and to care for your pets! Shanda moved here 10 years ago from Indiana and is currently living with her Fiancé in Chesterbrook. She works full-time at a local finance company. Shanda brought her love for animals with her to PA and is looking forward to meeting your pets! Hi, I'm Sharyn. I'm originally from Delaware County. I've always loved animals, especially dogs. I grew up with a Beagle named Corky. The past few years I have been pet-sitting for friends and neighbors and that's what prompted me to make a career out of pet-nannying. In my free-time, I volunteer at a pet-shelter, where I clean out crates and care for the animals. I love playing with dogs. I love their energy, their smiles and putting their wagging tails in motion. I know how dogs are basically family members and giving them the proper care and love is vital for any pet sitter. I always make sure I give the best care to your pet and to your home during my visits. Hi! I was raised in the Philly suburbs and have had pets throughout my childhood (dogs and even a rabbit). I currently have a Boston Terrier named Lola and she is very hyper and loving so I know all about animals that want a lot of attention. I also I have a Persian cat named Michael. My mother has an English Bulldog named Holly whom I often care for and she has health issues, so I have a lot of experience dealing with a dog who has had surgeries and requires daily medication. I can’t wait to care for your pets! Hi, I’m Steve and I can’t wait to be your Pet Nanny! I’m a huge animal lover and have been watching them since I was a kid. I’m compassionate, organized, and detail-oriented, and I’ll give your pets the same attention that I give my family’s (including taking them out for daily long walks). Pet sitting aside, I like to play music, read, do crosswords, and travel. I can’t wait to meet you and your furry friends! Susan D. has lived in Paoli for over 15 years, with her children and pets. Animals have been part of Susan's family for her entire life. As an adult, Susan rescued pets to provide a wonderful home and care at their time of need. Susan knows first hand that animals respond to love, kindness and patience, and will flourish with affection. Susan will take very good care of your beloved pets and thanks you for trusting her to do so. Susan lives in Plymouth Meeting with her husband Jerry, daughter Jenna and son Shane. She also has an 11 year old dog named Balto who is a Border Collie-Akita mix and Mia her 3 year old kitty. For over 25 years Susan has been involved with mandated environmental compliance programs required for fuel dispensing facilities and enjoyed helping make a difference in our environment. She has always had a special place in her heart for animals and feels working with Pet Nanny gives her an opportunity to make a difference in the lives of local animals and their owners. As the Client Happiness Manager, Susan looks forward to managing your pet care needs with our awesome Pet Nanny Team and giving you peace of mind that you furry pals are cared for by the very best! Sydrea has been living in Bryn Mawr for the past 15 years with her two cats, Kalimae and Dr. Bob. She moved from West Texas in 2001, travelling 1842 miles to Pennsylvania. Sydrea has enjoyed a variety of animals since birth, ranging from gerbils to farm animals. She brings a vast knowledge of animal care and understanding to you and your four-legged family members. Sydrea has patience, love and a caring attitude which she will share with all of you. Tami and her husband are longtime residents of Malvern, along with two 13 year old rescue cats, Fred and Wilma. She loves all types of animals, she grew up with poodles in the house and secretly fed the stray cats in the neighborhood, much to her parent's dismay. Prior to Fred and Wilma, they shared their home with a wonderful cat, Natasha, who lived to the ripe old age of 24. She's employed full time in the publishing/advertising/marketing industry and is looking forward to caring for your pets.